We are starting the Blogging Marathon 8th Edition today. You can check on the participating bloggings in Blogging Marathon Page. As with other editions, I wanted to come up with themes that are challenging. I hope the bloggers take up the challenging themes and entertain us with amazing recipes. I have chosen to do Cooking without fire for Kids. This is going to be the theme for this month’s Kid’s Delight hosted by Kamalika. I wanted to make sure I send in my share of entries. So took it up for the BM, which will force me to do the posts naturally. I sat really hard trying to make dishes that are kid friendly yet that can be made without cooking. I hope you enjoy these recipes and try out for your kids. As with all kids, all these recipes are not every kid’s favorite. I have found that not all my three kids like the same dish. There are couple of dishes that are favorites of all three. Other ones which are liked by Konda and Peddu. Especially the recipes with bread, Chinnu makes sure he stays away. So you will have to experiment with your kid and arrive at those dishes that they end up eating always. For the first day, I decided to make sandwich with Hung Curds dip. Place the curds on the sieve and let it stand for 15 – 20 mins. The whey water will all be come out. If you want you can keep it for longer time. Mix in pepper powder and salt, beat well to get a creamy dip. 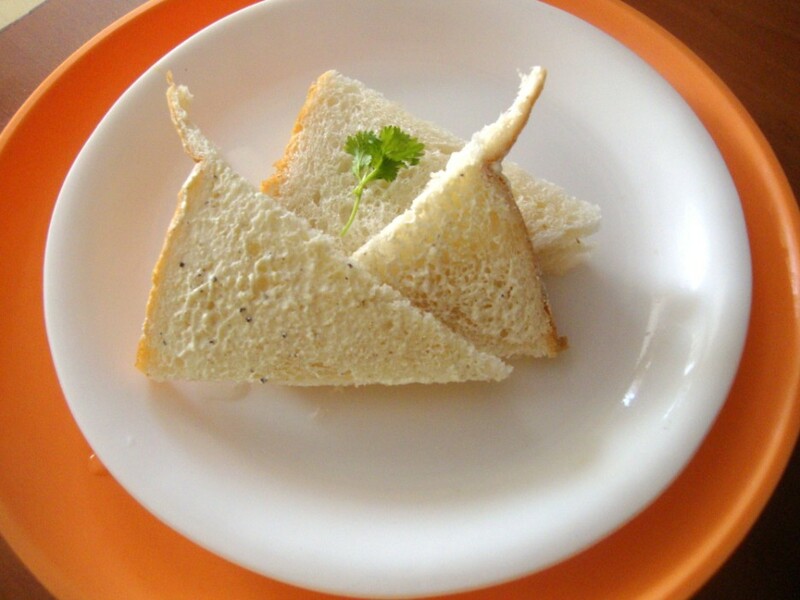 Trim the bread slices and spread the dip on the sandwiches and serve. Lot of variations can be done with the dip, you can use different flavours. Sounds interesting. Never tried this type of sandwich. Lil Angel is found of bread and loves curd.I will make this for her. True that kids have their own special tastes.This is easy yet It seems like very tasty and flavoured.will try Valli.Thanks. 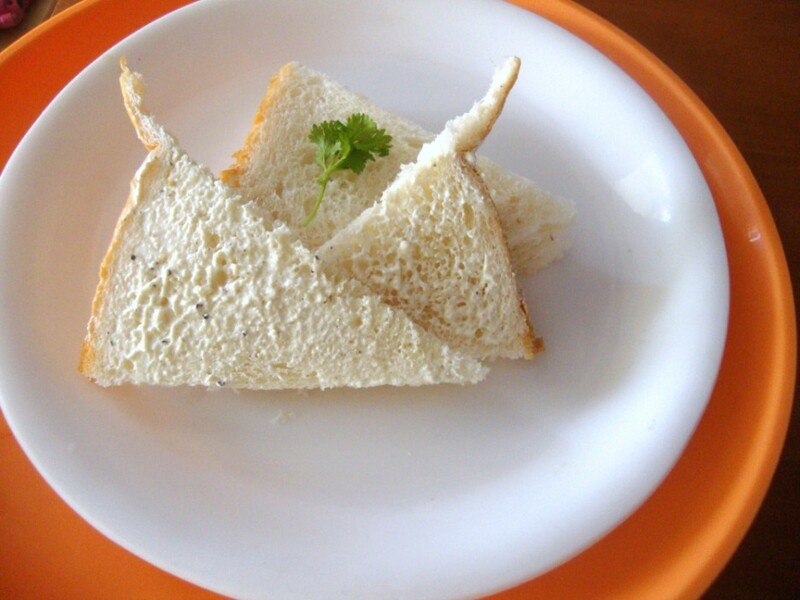 Such a lovely dish, even grown up kids like me love this yummy sandwich.. Missed by a whisker Valli .. This was to be one of my posts for BM this week 🙂 ha ha !! Kids are so fussy that makign them eat the same dish again and again is such a task..
That i a good recipe!